I watched Arrival a couple of weeks back and loved it so much, I really want to check out the short story it was based on, Story of Your Life. 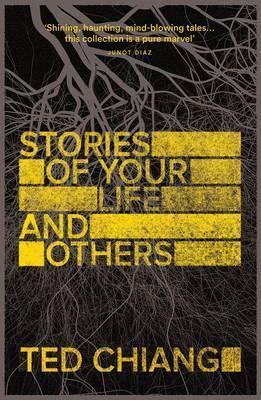 It appears in Ted Chiang’s Stories of Your Life and Others anthology, alongside 7 other short stories. From a soaring Babylonian tower that connects a flat Earth with the firmament above, to a world where angelic visitations are a wondrous and terrifying part of everyday life; from a neural modification that eliminates the appeal of physical beauty, to an alien language that challenges our very perception of time and reality. . . Chiang’s rigorously imagined fantasia invites us to question our understanding of the universe and our place in it. You can get Stories of Your Life and Others on Amazon for £6.99. It’s been ages since I did any (fictional) book reviews here, and I want to get back in the habit of sharing some of my thoughts of books I’ve recently read. Especially the ones that I absolutely love and think everyone should read! So for the next few weeks I’m going to try to do book reviews of three books each week. Let’s see if I can catchup and share all my favourites! Which books have you recently read that you love? The Night Circus describes a place that feels plucked from my dreams, the circus I never knew I wanted to visit. Dressed in monochromatic hues, the Circque de Reves is depicted as a vast collection of tents, each with a different experience and the attraction, and it’s the setting for a magical contest between our main characters Celia and Marco. There’s just something about the circus itself that feels part escape room and part immersive theatre, and I ended up wishing it was a real place that I could actually go to. 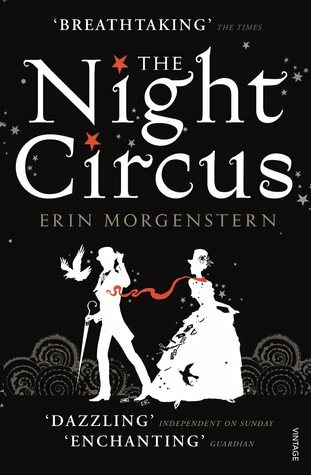 I absolutely loved this book, mainly cause of the long descriptions of parts of the circus – the overall story and characters feel a little weak, but for me this book was more about creating this idea of an interesting world that I could explore. I’m a huge Seanan McGuire fan – she’s written so many different story worlds and I just love the unique stories she comes up with. And Every Heart A Doorway is no exception. The simplest way to describe it that this is McGuire’s take on parallel universe stories: Alice In Wonderland, The Wizard of Oz, what happens to the children after they come back from their adventures in these other worlds? 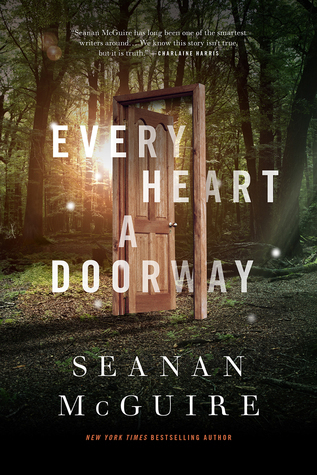 In Every Heart A Doorway, we’re introduced to Eleanor West’s Home for Wayward Children, a boarding school for children/teens who need to re-adapt to our world. There were just so many things I loved about this book. Firstly, the diversity of the characters: rather than having the predictable (and boring) cast of straight white characters, in here we have a range of diverse characters. Besides that each character has such a different and unique backstory – I loved discovering the different worlds they each had visited and where they felt they belonged. A lot of this book was about finding that special place where you feel accepted and appreciated for who you really are, and the loss that follows of not having that place anymore. It also made me wonder what my other world would look like – what’s the world that I would escape to if I could? 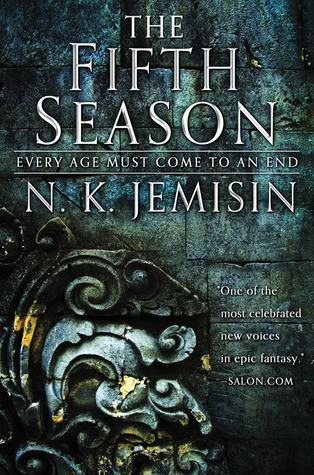 I don’t really know how to describe Jemisin’s The Fifth Season. It’s ambitious and epic and it works. I loved Jemisin’s first series (the Inheritance trilogy) and it’s awesome to see another complex and interesting world from her. In The Fifth Season we’re introduced to the Stillness, a continent on a planet where every couple of centuries there is some form of cataclysmic event known as the Fifth Season. No one can predict when or what The Fifth Season will be, and the society of the Stillness has evolved to ensure the survival of as many people as possible. There’s so much that happens in this book and my meagre description above really doesn’t do it justice. Jemisin manages to create real and messy characters – you don’t always agree with their decisions, but she makes you can understand them, feel for them and want to shout at them. Wrapped around that is an epic story and Jemisin leaves just enough clues for you to think along and puzzle out parts of the story for yourself. All in all, I can’t wait to read the next part of this series! Favourite quote: This is what you must remember: the ending of one story is just the beginning of another. This has happened before, after all. People die. Old orders pass. New societies are born. When we way “the world has ended”, it’s usually a lie, because the planet is just fine. But this is the way the world end. A lot of my recent talks and chats at events have included references and quotes to the various books I’ve read the past year, and I’ve had more than a handful of people ask which books I would recommend. About a year back I became a line manager, and as with every new discipline that I want to get good at, I threw myself into researching and reading as much as I could about the topic. Alongside that though, I also started trying to vocalize my thoughts on what I’ve been trying to do internally with our evangelism at FutureLearn. Both areas I’ve realized are grounded in similar questions: why do people do what they do? How do you encourage them to do specific things? What motivates them? So this post is a roundup of all the “leadership-py” books I’ve read the past year (and have mentioned previously in my talks). Even if you’re not a line manager or a leader (yet), I think all these books give good insights into how people and teams work. If you’ve just started managing or are interested in it and aren’t sure where to start with reading material, take a look at this book. 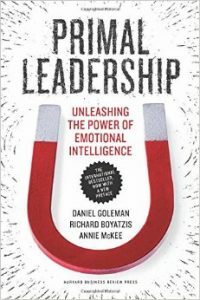 Primal Leadership is all about how emotional intelligence is key to what makes an effective leader and gives a lot of practical examples of how to grow and apply your skills in it. The book highlights different leadership styles and the ways emotions are affected in each of them. Technically I read this book last year, but there’s so much in this book that I’ve found useful this year. 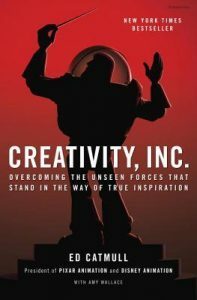 Ed Catmull is one of founders of Pixar and his book Creativity Inc is all about how the history of Pixar and how they created their culture there. I started reading this cause I’m a huge Disney and Pixar fan, and it’s a fascinating insight into how their movies are created. Beyond that though, the book really focuses on what drives and enables creativity within teams, and I think it can be applied to any team. Catmull manages to elegantly capture the reasons why failure, candour and randomness are all things that every team should embrace and expect to happen. There are a lot of good ideas and good practices in this book and after reading it I came away feeling inspired and motivated. 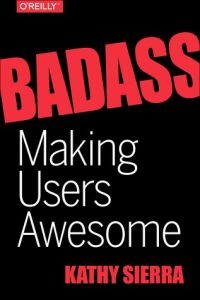 In Badass, Kathy Sierra explains how the best way to get your product being used by people, is understanding that it’s not necessarily about making your product more awesome, but that it’s about making your users more awesome. If they feel they are being badass when using your product, they’ll be more passionate and motivated to share what they can do with your product. While the book is written from a product perspective, I realised that a lot of it can be applied to how we encourage our teams. It gives a lot of insight in how to keep someone motivated learning something new. I’ve specifically adapted it for encouraging evangelism in teams, but I think it can be applied to other areas as well. 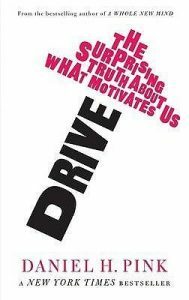 Continuing with the theme of “what motivates people”, the next book on this list is Drive from Daniel H. Pink. In it he examines the intrinsic rewards that people seek, rather than extrinsic awards like money or owning stuff. It’s backed up with a lot of research examples and case studies, and it got me thinking about why people I know do the things they do. I’ve always considered myself a massive introvert and have blogged in the past about what it means to be a social introvert. 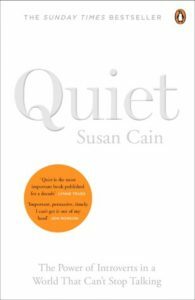 I wish I had read Susan Cain’s Quiet much earlier, cause she really explains the differences between introverts and extroverts, and shows the way our society is built around extroversion. Regardless of whether you’re a introvert or an extrovert yourself, reading this book will give you a better understanding of how our brains process the information in the world around us and how that can affect each person in different ways. 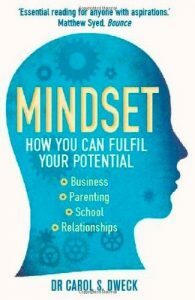 Another book I wish I had read earlier is this one from Carol Dweck called Mindset. In it she examines the idea of different mindsets and I think my life might have gone differently if I had read it sooner. Dweck describes the idea of the fixed mindset versus the growth mindset. The fixed mindset is the belief that your abilities are set in stone – you believe that you can learn new things, but that you can’t really change how smart or social or sporty you are. The growth mindset, on the other hand, is the belief that your basic abilities are things that you can change – people might differ in initial interests, temperaments and aptitudes, but everyone can change and grow through application and experience. I noticed about myself that I’ve already switched from a fixed to a growth mindset in the past couple of years, and reading the book I recognized a lot that felt familiar to me. I picked up this book after seeing Marquet talk about this topic in this video. I’ve only just started the book, but I’m including it anyway cause so far it’s been an interesting read. 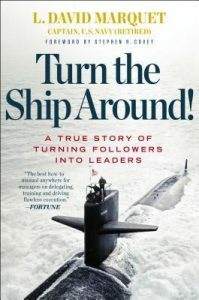 Marquet tells his story of when he became captain of the USS Santa Fe, and started treating his crew as leaders, rather than followers. The result is an environment where everyone is encourage to take ownership and make decisions. Which leadership books have you read recently? Given the ones above, which books do you think I should read next? My 2015 book challenge isn’t exactly on schedule this year. From the 52 books I’m supposed to read, I’m so far only on 21 (while I should be around the 30). I still got 5 months to go though, so I’m going to try to catch up! I don’t remember who recommended this book to me (if it was you, please let me know! ), but they described it as a science hackday in space. And it pretty much is: an astronaut gets accidentally abandoned on Mars and needs to combine all his skills of mechanical engineering and botany to survive. It does get a bit science and fact heavy at times, but I couldn’t put this book down. 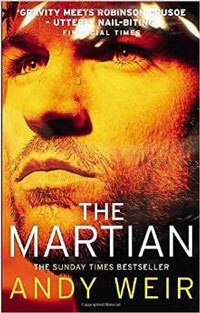 It’s currently being made into a movie, but if you like the sound of it, go read the book first! And don’t watch the trailer: way too much is being given away in it. That said: I really like the casting – can’t wait to see it! 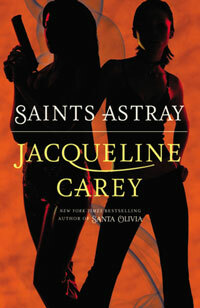 I’ve enjoyed Jacquelince Carey’s Kushiel/Terre d’Ange series, so I was curious to see how this series would turn out. It takes place in the titular Santa Olivia, a dystopian desert town in a no man’s land between the United States and Mexico, and is about the coming of age of Loup Garron, a daughter of a genetically engineered soldier with super strength, speed and sight. I really enjoyed these books. 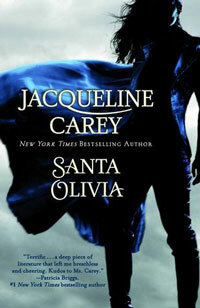 I love Carey’s writing and instantly fell in love with these characters. I never quite realised how much I am a child of the eighties. 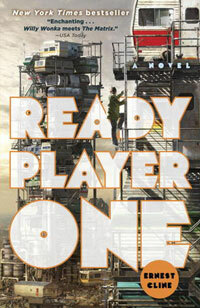 Set in a not too distant future, Ready Player One is about the most epic video game easter egg hunt ever, with millions of people searching for the hidden will of the 80s obsessed creator of the OASIS, a virtual reality world/game (which has basically replaced the internet). This book is just filled with references and easter eggs to all things eighties; I didn’t get many of the video game references, but it goes beyond that – movies, music, comics, it’s just filled with them. I hadn’t read any of Amber Benson’s previous books, but saw that this new series might be a good place to start. I liked the characters and the backstory, but it didn’t feel like a complete plot. I get that it’s setting up the series as a whole, but I was expecting at least some conclusion to this part. I’m not a huge flower fan, so I decided quite early on that I didn’t want a traditional bouquet for my wedding. I mean flowers are pretty etc, but for someone who doesn’t deal well with keeping plants alive (and who has said in the past that getting me flowers is like the worst present ever), it just felt like having flowers as a bouquet would seem wrong. 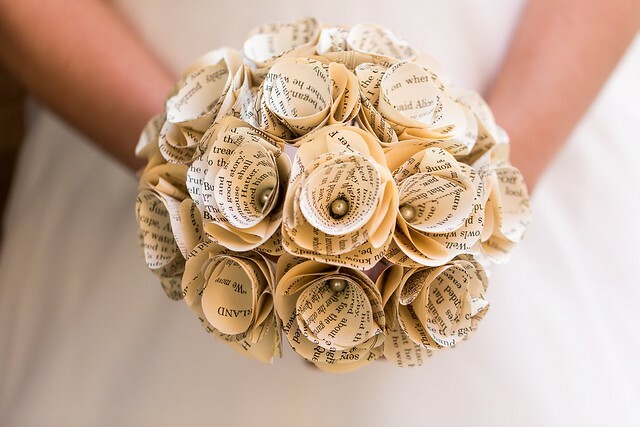 Via Pinterest I came across the idea of using book pages as flowers instead, and I completely fell in love with that! I love how it turned out! 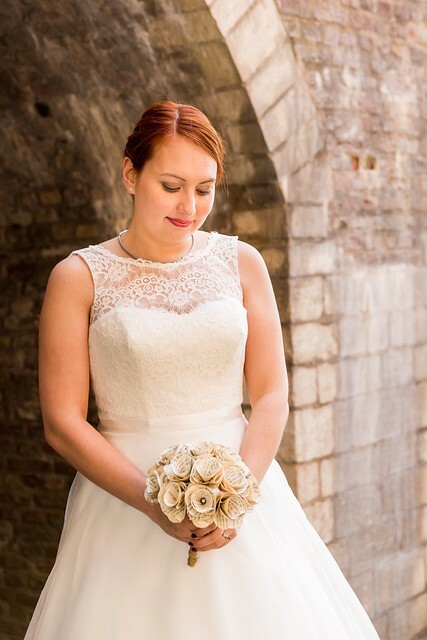 And it definitely felt more me than having a traditional bouquet. If you look closely you can see some of the character names from Alice in Wonderland! I had several conversations with Lindy from theepapergirl to pin down exactly what I wanted, and she was super helpful and patient with answering all my questions. They have several listed books that you can choose from, or for $10 more you can have a book of your own choice. Check out theepapergirl for more options! Yay, a new Chronicles of Ixia book! 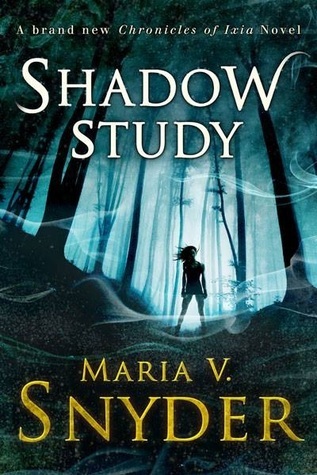 I was pretty surprised when they announced this book; after the first trilogy with Yelena and Valek (the Study trilogy), I wasn’t expecting Maria V Snyder would revisit this world. We then got the Glass series and now Shadow Study, which is part of the new Soulfinder series. I loved this world Snyder has created, so I’m curious to see what will happen this time around! When Yelena was a poison taster, her life was simpler. She survived to become a vital part of the balance of power between rival countries Ixia and Sitia. Now she uses her magic to keep the peace in both lands—and protect her relationship with Valek. Suddenly, though, dissent is rising. And Valek’s job—and his life—are in danger. 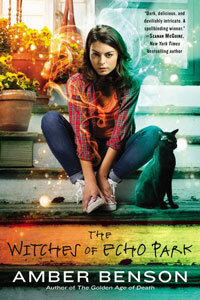 As Yelena tries to uncover her enemies, she faces a new challenge: her magic is blocked. And now she must find a way to keep not only herself but all that she holds dear alive. Shadow Study is available from Amazon.co.uk for £5.59 and from Amazon.com for $7.59. Yay, another InCryptid story is out! This fourth book features Alexander Price again, cryptozoologist and brother to the main character from the first two books, Verity. This time he’s off to Australia to help with an infestation of werewolves (as you do). I love the look of this! I’ve really enjoyed all the past books, so can’t wait to see what happens next. We’ve now gotten two books with Verity, two with Alexander… I wonder: will we be introduced to someone else next? Will it go back to Verity? Or will it feature someone we already know? Endangered, adjective: Threatened with extinction or immediate harm. Alexander Price has survived gorgons, basilisks, and his own family – no small feat, considering that his family includes two telepaths, a reanimated corpse, and a colony of talking, pantheistic mice. Still, he’s starting to feel like he’s got the hang of things…at least until his girlfriend, Shelby Tanner, shows up asking pointed questions about werewolves and the state of his passport. From there, it’s just a hop, skip, and a jump to Australia, a continent filled with new challenges, new dangers, and yes, rival cryptozoologists who don’t like their “visiting expert” very much. 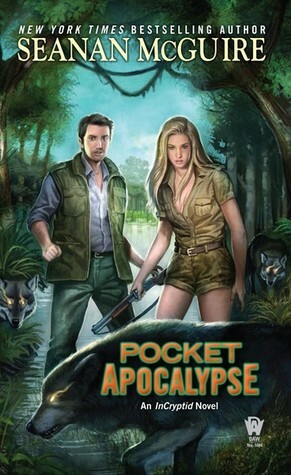 Pocket Apocalypse is available for £5.28 on Amazon.co.uk and for $7.99 on Amazon.com. 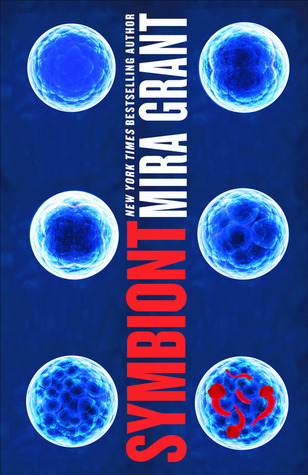 Long time readers here will know I’m a huge fan of Mira Grant/Seanan McGuire’s books, so obviously I’m curious to the next part of her Parisitology series, Symbiont. I really enjoyed the first book Parasite (although I thought the ending of that one was a bit predictable). Grant does some great world building, giving us a near future that seems possible, yet slightly weird. The SymboGen-designed parasites were created to relieve humanity of disease and sickness. But the implants in the majority of the world’s population began attacking their hosts, turning them into a ravenous horde. Now those who do not appear to be afflicted are being gathered for quarantine as panic spreads, but Sal and her companions must discover how the parasites are taking over their hosts, what their eventual goal is and how they can be stopped. It’s available for £6.29 from Amazon.co.uk and $14.11 from Amazon.com. I love this idea. 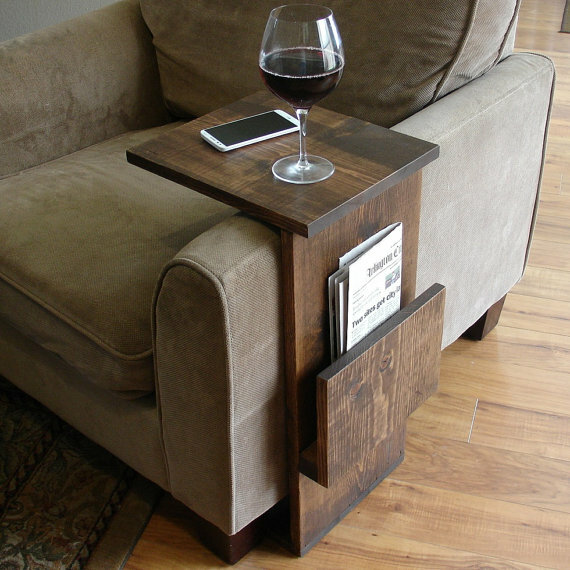 Of course the first thing that comes to mind to me is a book rest, but obviously you could use it for other stuff (gadgets, wine, remotes, cat, etc). 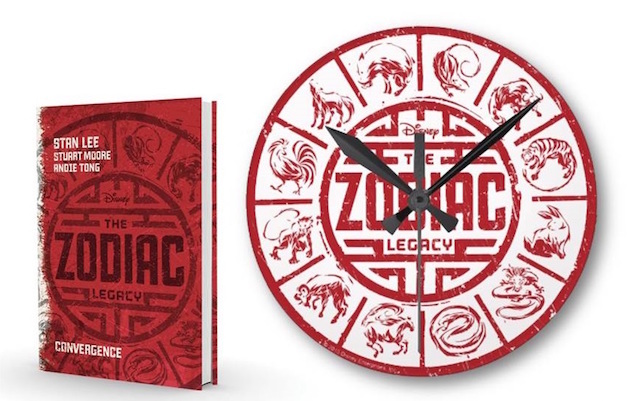 It’s available for £97.13 from the etsy store KeoDecor, but sadly they don’t ship to the UK.